It’s bug season on the east coast, so ask yourself what’s the nearest pest control service near me. Unfortunately, it’s also the time for bug bites. Most everyone at some time, is going to get bitten by a bug, and although we can’t cover every single bug that might bite you, here is what to look for to determine what’s biting you. • Mosquito Bite — Generally a big red itchy welt. Probably the most common bite of all. • Tick Bite — You’ll usually find a tick attached to your skin when they bite. 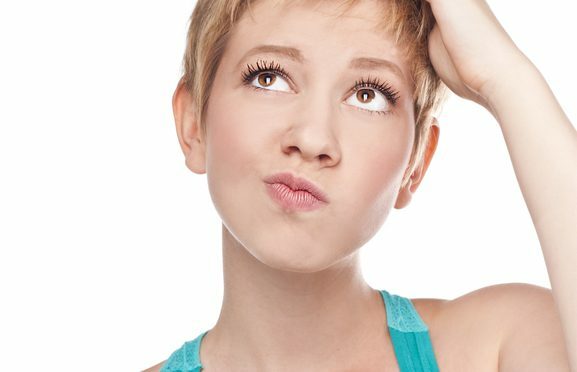 After the bite, if you have a big red bulls-eye type of welt, it may be a sign of Lyme’s Disease. • Wasp/Bee Sting — Swelling in the area with a tiny red dot in the middle. • Flea Bites — Generally a cluster of little reddened bites. • Bed Bug Bites — Itchy red bites that don’t usually swell, usually on the shoulders and arms. • Chigger Bites — Itchy red welts near the feet or ankles. They stay attached for a day or two, so you may catch one in the act. • Spider Bites — A brown recluse will leave a flattened red mark where it bit, while a black widow will leave fang marks. If bitten by either spider, seek medical assistance immediately. When asking what’s the best pest control near me, the answer is Stern’s Environmental. For any questions about bug bites, bugs and how to get rid of them, contact Stern’s. Hobo spiders have been making their way to areas outside their usual range in the Pacific Northwest and Southeast. If they continue to spread, they could become a problem in NJ. Since these spiders are known for being aggressive, it’s important to know how to identify them. Hobo spiders are brown spiders that are typically up to 2 inches in length, including their legs. They rarely grow bigger than this size. You can identify these spiders by the zigzag-shaped lines running along both sides of their abdomen, although this can be hard to see. Unlike other spider species, hobo spiders have solidly colored legs rather than legs with ring-shaped patterns along them. 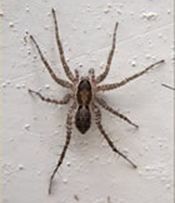 These spiders can be easily confused with more common spider species, such as wolf spiders and brown recluse spiders. Their bite was believed to have similar effects to those of brown recluses, which have venom that can make flesh become inflamed and potentially begin to rot without prompt treatment. However, it is now thought that hobo spiders are not venomous. They can still inflict painful bites, though, and are considered more aggressive than brown recluse spiders. This makes it important for building owners to know how to spot these critters and have them eliminated as soon as possible. If you’re having a spider problem, contact Stern Environmental Group. We offer effective, nontoxic NJ and NYC commercial pest control services. Not only is Josimar Ferreira accused of operating a Massachusetts extermination company without being certified, but it has been reported that he has also allegedly maintained pest control companies in New Jersey and New York as well. Both New Jersey and New York have cited Ferreira for operating an unlicensed pesticide business. It makes you wonder how he is able to obtain toxic pesticides, without being properly licensed. Clearly there was a breakdown…in three states! Stern Environmental Group has been providing expert bed bug and pest control services in New Jersey and New York for over ten years. We pride ourselves on providing our customers with the safest pesticide application available, and offer a wide variety of services and products to meet many different types of needs. We offer professional services to both residential and business customers alike. Whether you are looking for help with bed bugs, rats, mice, squirrels, raccoons, groundhogs, ants, spiders, cockroaches, or bee control, Stern Environmental Group’s licensed pest control applicators are here to lend a helping hand! Spiders are one of the most feared creatures on earth. Let’s face it, they move very quickly, some are hairy, they can crawl anywhere, they hide in dark places, some make webs, they come in different sizes, and some will bite you, even when not provoked. Most spiders are harmless, but some spider venom is dangerous and sometimes deadly for some folks. A woman in Atlanta Georgia was bitten by a brown recluse in April. Not realizing how serious the problem was, she did not seek medical attention right away. It did not take long for the spiders’ venom to do serious damage to her bite site as infection set in. By the time she received medical help, it was too late. Ms. Franklin lapsed into an 11 day coma and had to have a mastectomy due to the horrible infection that was caused by the bite. Spring and summertime are the perfect times to enjoy the outdoors, not only for you, but for creepy crawlers too. It’s important to keep an eye out for spiders, bees, wasps, hornets, and other dangerous pests. 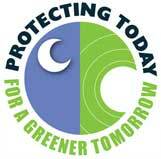 Stern Environmental Group specializes in ridding your property of unwanted and dangerous pests. Give us a call today to see how we can help you!